Army Navy Store. . Camo Surplus. . In business since 1984! Low Prices! Fast Service! Two safe and easy ways to pay. Through your paypal account or with your standard cards. Both choices completely secure. If you wish to purchase large quantities of merchandise we can offer you significant savings over our already low prices. For orders of $1,000.00 or more please call us to find out how much you can save! If you want to find everything in your size do a search just for your size: 2XL, 3XL, 4XL or 5XL etc. The more common sizes like 2 and 3XL will generate many, many results. It's best to try to narrow it down a little more. All large sizes are referred to using this standard: #XL. so when searching for particular size it is best to use this format in your query. If you've found a product you want, but it's offered in average sizes and you need it in a 2XL or larger, rather than hunting around for it use this simple trick. With your cursor still in the search box add a space, type your size and hit enter to see the results. Note: this type of search will yield only that one specific product in the one size specified and only if such a size exists. 2XL and 3XL are fairly common in most mens/unisex clothing. 4XL and above are less common, but are available for a wide variety of products. Childrens clothing mostly comes in sizes XS through XL or 2-20. Toddlers and Infants in 3-6mo, 9-12mo, 12-18mo and 2T through 4T. Sizes XS through XL are options of the main products and therefore you should conduct your search for the item without indicating size. Case is irrelevant. Use of upper or lowercase or any combination thereof will yield the same exact results. Searches are a handy way to find things quickly, but no search system is perfect. Sometimes it is actually quicker and easier to find your products by navigating our simple category structure. The majority of subcategories are only two clicks away. If you want a camo baseball cap it's as simple as clicking Headwear > Camouflage Baseball Caps. 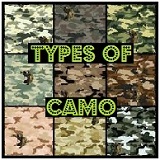 If you want womens bikinis it'd be one extra click: Clothing > Womens Camouflage > Camouflage Swimwear. If you are looking for something specific do be specific. Our search supports partial matching. So generalized queries may result in too many products in which you are not interested. How specific is too specific? Generally speaking, three word queries yield the best results when you are searching for an array of like items. Phrases like Pink Camo Sweatshirt, Black Combat Boots or Khaki Shoulder Bag will yield a good amount of relevant results. Avoid using the term T-Shirt. Instead use shirt. Augment your search with long sleeve or a color to narrow the results. Avoid using plurals in your searches unless standard for that item (sunglasses, socks, shoes). Using plurals on normally singular terms will show only items that contain plurals in their titles. Using the singular will display items of either variation. Do not use quotes to narrow the results. Our search feature does not support using quotation marks. Spelling errors (on either side) can often lead to you not finding what it is you want. If your search doesn't turn up what you expected try either looking up the spelling to see if you made a typo or try searching for part of the word. For instance, if you're looking for a blue camouflage jacket and are not finding what you expected try using the term blue camo jacket or maybe blue camo coat. Our search supports partial word matching. Security Get Social With Us! Army Navy Shop Store Military Gear Hunting Clothing Army Surplus Camouflage Clothes Military Uniforms: Your source for hunting, survival and camo gear.